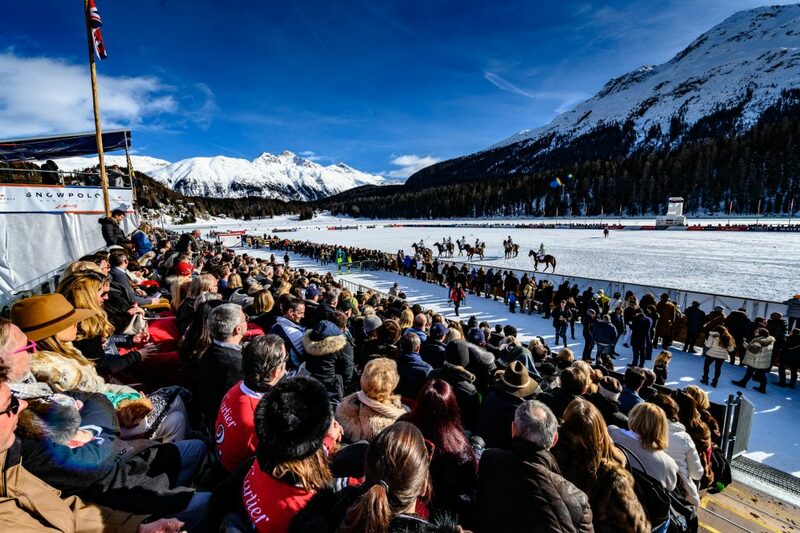 The 35th Annual World Snow Cup St. Moritz tournament tool place from January 25th to January 27th in the tony ski hamlet of St. Moritz, often referred to as the number one world’s winter destination for the international jet set. 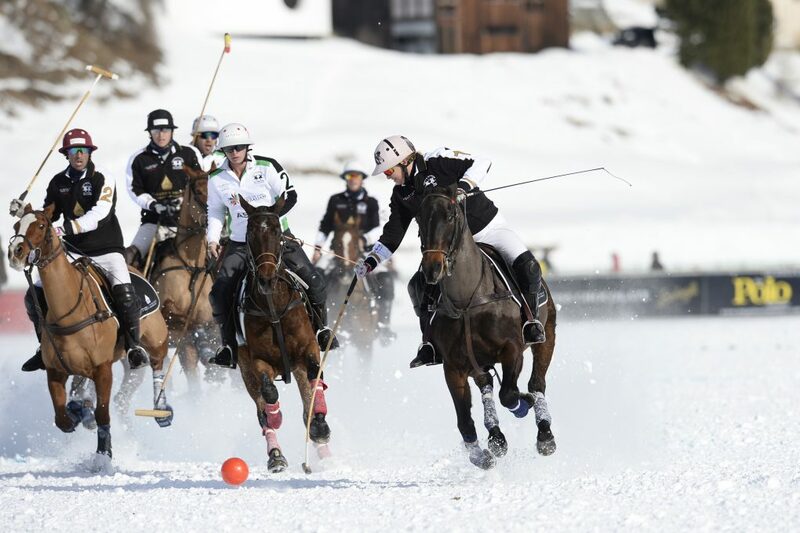 During the three-day-long event, some of the world’s top professional and amateur polo players descended on the Swiss village to compete on Lake St. Moritz, which is frozen solid. Players, including 10-goal Argentinian professional Juan Martin Nero (seen in photo above) and fellow Argentinian Alejandro Novillo Astrada (an 8-goal player) participated, alongside top amateurs and other professionals. Players, including 10-goal Argentinian professional Juan Martin Nero and fellow Argentinian Alejandro Novillo Astrada (an 8-goal player) participated, alongside top amateurs and other professionals. Astrada is currently the 20th ranked professional on the World Polo Tour while Nero, who won the Argentine Open in 2018, is currently the third ranked professional player on the World Polo Tour. More than 18,000 polo enthusiasts from around the world were there to witness the action (attendance broke the all-time record for the event). The outstanding weekend of polo was complimented by a number of exclusive festivities. There were VIP lunches, black tie dinners, late night dancing at Badratt’s Palace Hotel’s “King’s Social House”, horse-drawn sleigh rides and countless flutes of Perrier-Jouet champagne and drams of Royal Salute whisky than you’ve probably ever seen in one fun-filled long weekend. 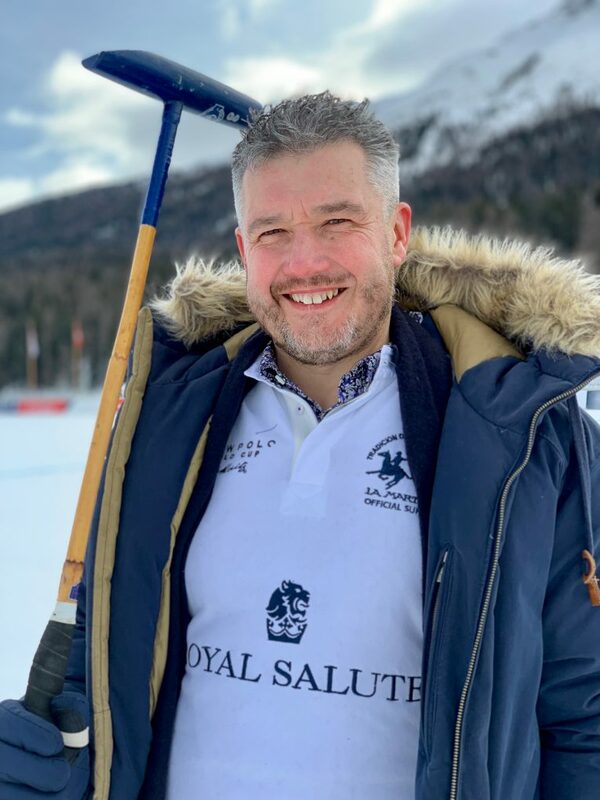 Those wanting to experience snow polo were able to participate in a clinic led by former England Team Champion and Royal Salute World Polo Ambassador, Malcolm Borwick. 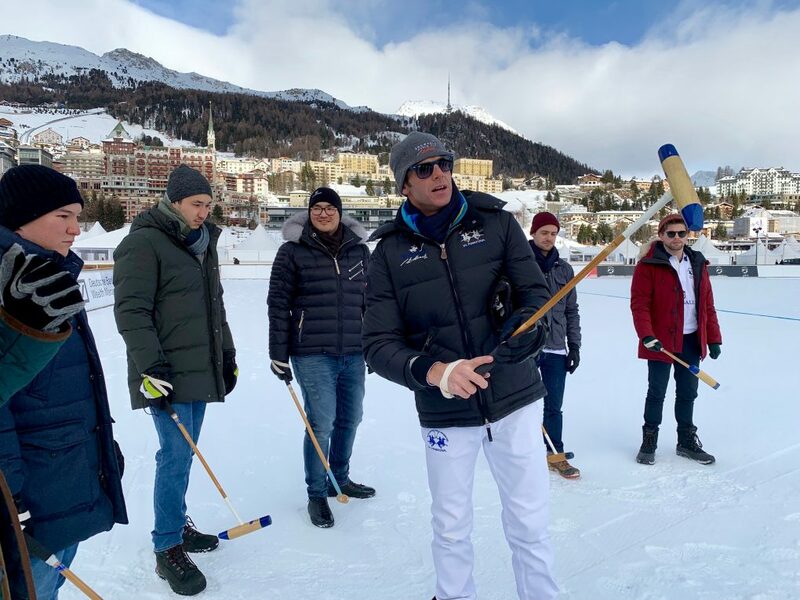 Taught on the frozen lake before the matches commenced, participants learned just how difficult the “sport of kings” is to play. 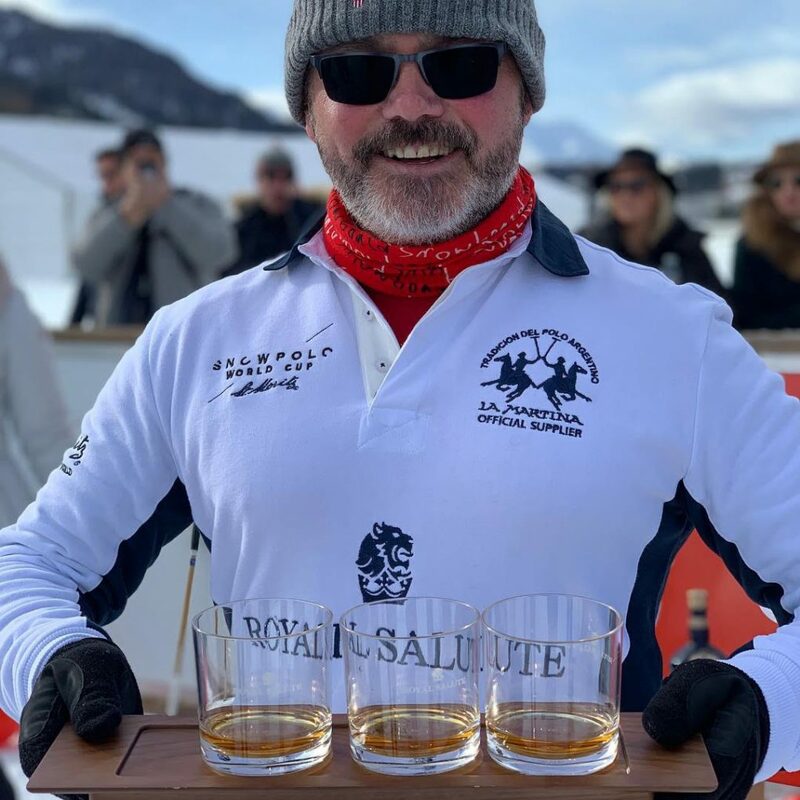 Drams of Royal Salute were served and Sandy Hyslop, Royal Salute Master Blender, was there to share his knowledge of the company’s exclusive Polo Collection, a limited edition series of whiskys inspired by the sport. Between polo matches, guests were ushered into a VIP tent for cocktails and lunch. In the tent, which was also on the frozen lake, there was a Perrier-Jouet bar pouring unlimited supplies of champagne. 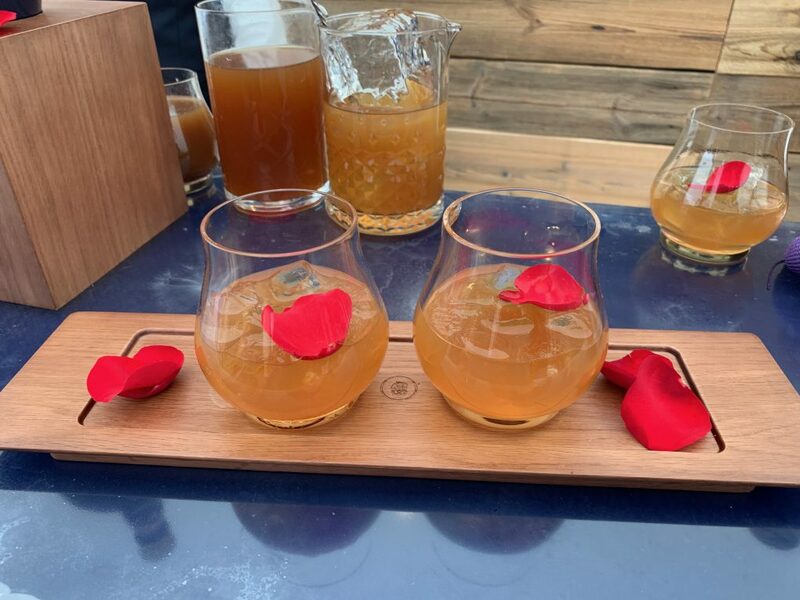 Royal Salute had its own bar that served “Royal Rose” Royal Salute cocktails, which were originally created in honor of Queen Elizabeth II, and contained perfume from Centifolia roses, a substance that is worth more than gold by weight. The cocktail was created by famed perfumer Barnabé Fillion, who is a Royal Salute Creative Advisor. The Badrutt’s Palace team, led by team captain, American Melissa Ganzi beat Team Maserati 7-3 to take the the Cartier Trophy. 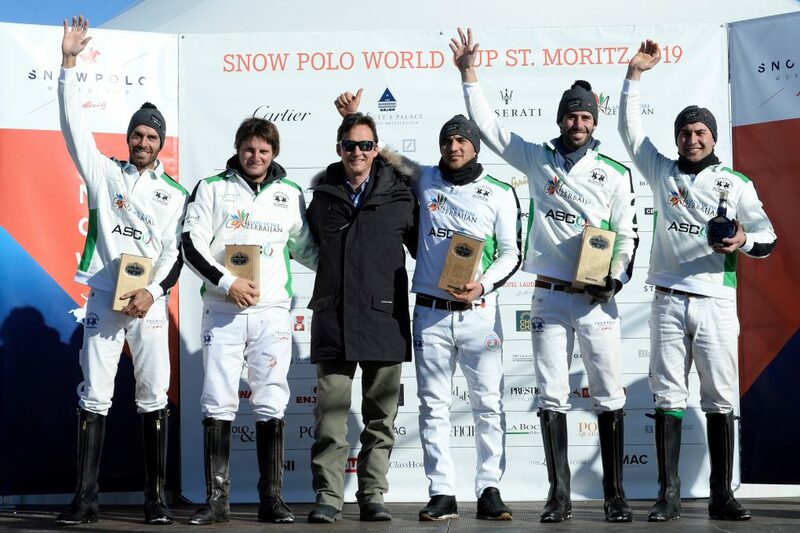 Argentinian professional, Alejandro Novillo Astrada (an 8-goal player who is currently the 20th ranked professional on the World Polo Tour), was key for putting Badrutt’s Palace on the winner’s podium. The Badrutt’s team also included Argentinian professional Alfredo Bigatti (8-goal player) and Juan Bautista Peluso (0-goal Argentinian). The Mazerati Team consisted of Zhanna Bandurko and Valery Mishchenko (0-goal players), Robert Strom (a 5-goal amateur from France), and Brits Chris Hyde (a 5-goal professional) and Max Charlton (7-goal professional). 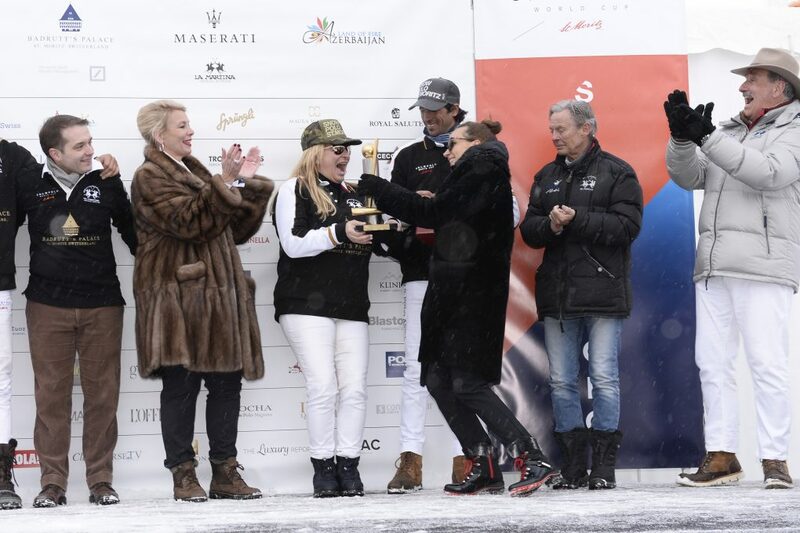 The Cartier Trophy was presented by Laurence Bourgeois, Cartier Managing Director (Switzerland) and Kaethy Dobers, the Boutique Director of Cartier St. Moritz. Melissa Ganzi made history as the first female player in the Snow Polo World Cup history to win the tournament. She was also awarded the Best Playing Patron trophy while the Most Valuable Player award went to Astrada. 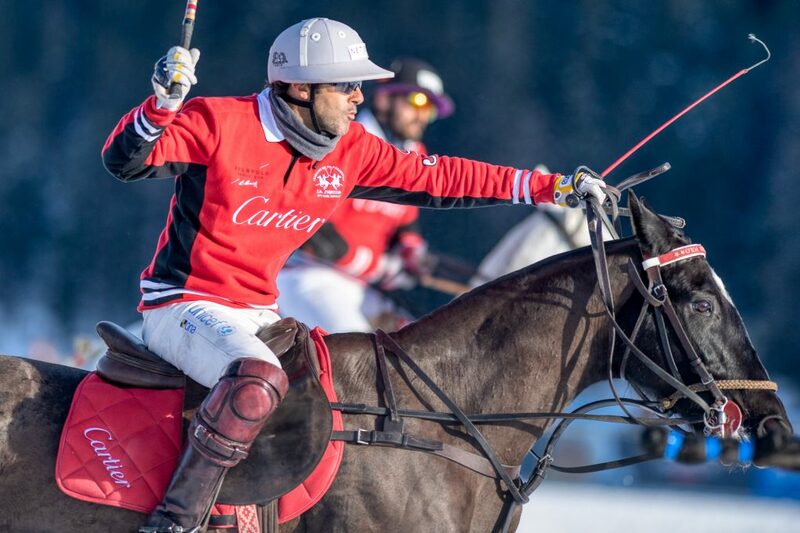 Team Cartier was pitted against Team Azerbaijan Land of Fire in the La Martina Cup Subsidiary Final. Cartier’s team consisted of Grant Ganzi (3-goal player), who served as Captain, Marc Ganzi (2-goal player), 10-goal pro Nero and Tito Gaudenzi (2-goal player). Team Azerbaijan had two six-goalers, Adrian Laplacette Jr. and Isidro Strada as well as Andreas “Lala” Laplacette (4-goal player), and Ali Rzayev (0-goal player) and two reserve players, Elchin Jamalli (2-goal player) and Amil Namazov (0-goal player). Team Azerbaijan won the match, beating Team Cartier with a final score of 5-0. The Royal Salute Trophy was won by Team Azerbaijan, which prevailed over Cartier in a close match with a final score of 5 to 5 1/2. The trophy was presented by the 13th Duke of Argyll, Torquhil Ian Campbell, a Brand Ambassador for Royal Salute. 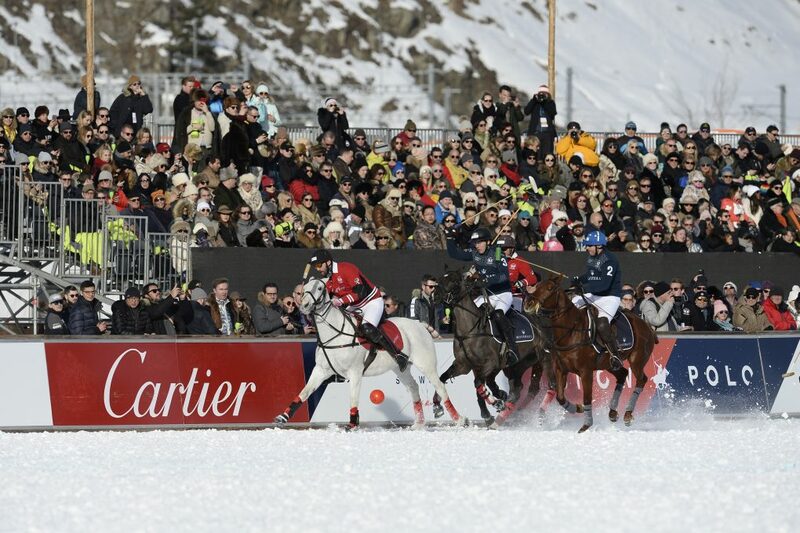 The Snow Polo World Cup was founded in St. Moritz in 1985. The Board of Directors consists of Dr Piero Dillier (President), Reto Gaudenzi (Vice-president and CEO and five-time past winner of the tournament), and Arndt Küchel. 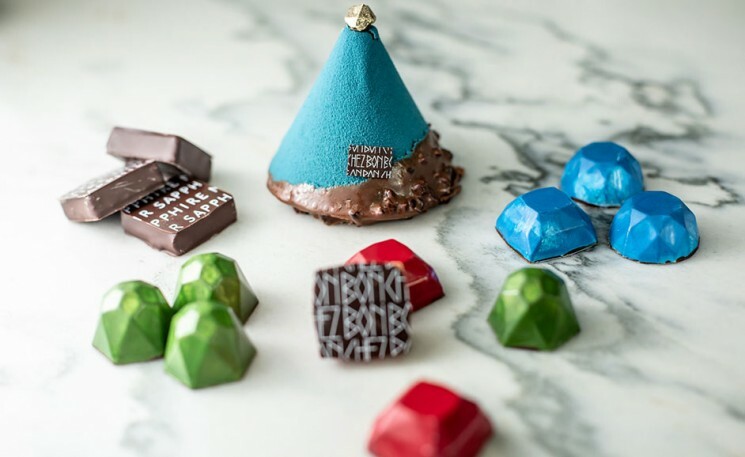 The tournament is organized in close collaboration with an experienced team of local hotels (including the Carlton Hotel St. Moritz, the Kulm Hotel St. Moritz and Badrutt’s Palace Hotel), local businesses and experts, the town of St. Moritz and See Infra Ltd. 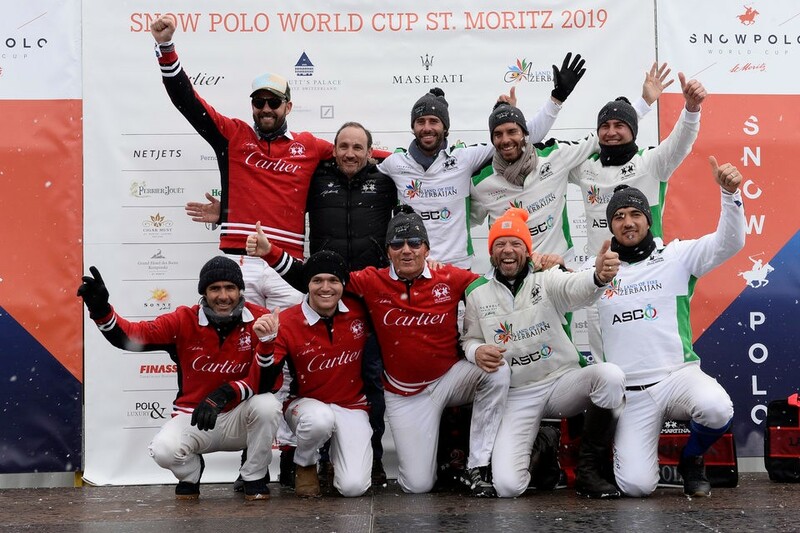 In 2020, the Snow Polo World Cup St. Moritz will take place on January 24, 25 and 26th. 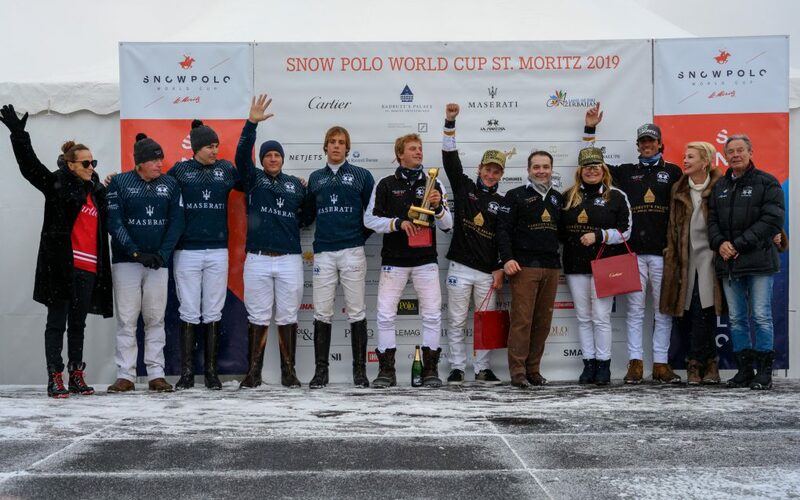 For more information, go to Snow Polo World Cup St. Moritz website.